I’ll start with the space. 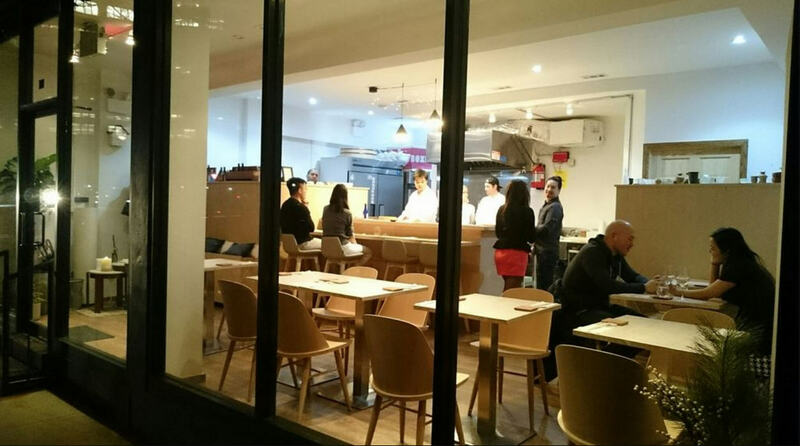 It’s a very clean/minimalistic space, with just maybe 10-12 seats at the single to double tables, and four counter seats. A very open layout, with a completely open kitchen. You see everything. All the cooking, all the preparation, and a birds-eye view to the washroom. They should have put a partition there. It’s odd and uncomfortable to sit at the counter and FACE the patrons coming in and out of the washroom. Some taking way too long, and some going in as pairs. It’s WEIRD. We showed up 5 minutes early for our 7PM, Tuesday night reservation. At that time, the restaurant had just one other patron besides us. There were four cooks/bus boys in the kitchen, a head chef, a host and a manager. We felt pretty outnumbered. They should have put on some music, find things to do rather than to stand and watch us. Too quiet and too much attention, too much awkwardness. Throughout the night, other patrons did come and go. If I had to guestimate the count, I would say including us, a total of 10 patrons throughout the 2.5 hours we were there. Meaning the space remained pretty empty. The food is the biggest confusion of all. 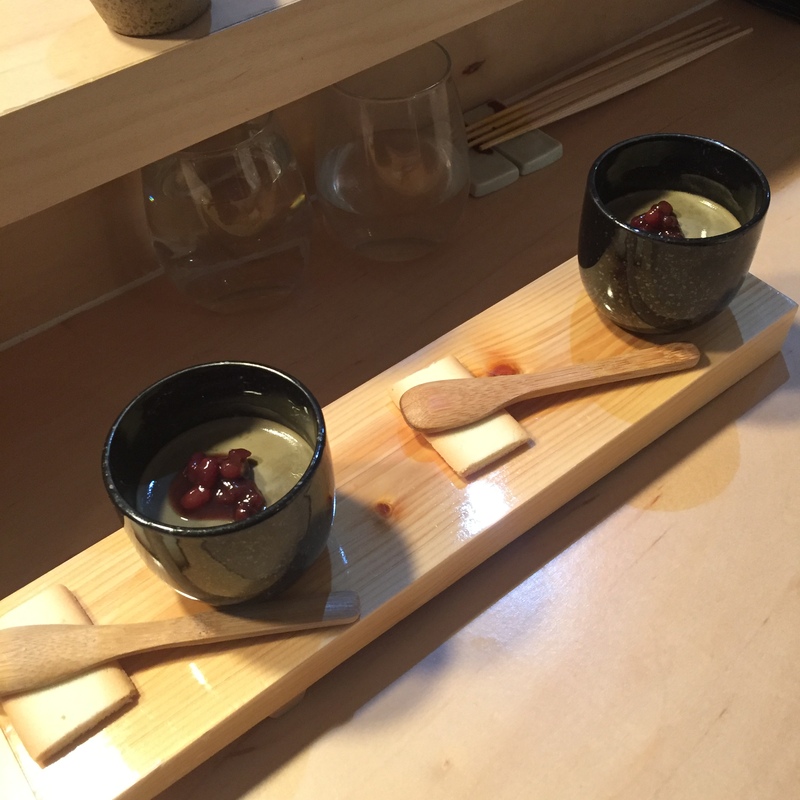 We visited after having seen a whole bunch of beautiful sushi posts on Instagram and Yelp. 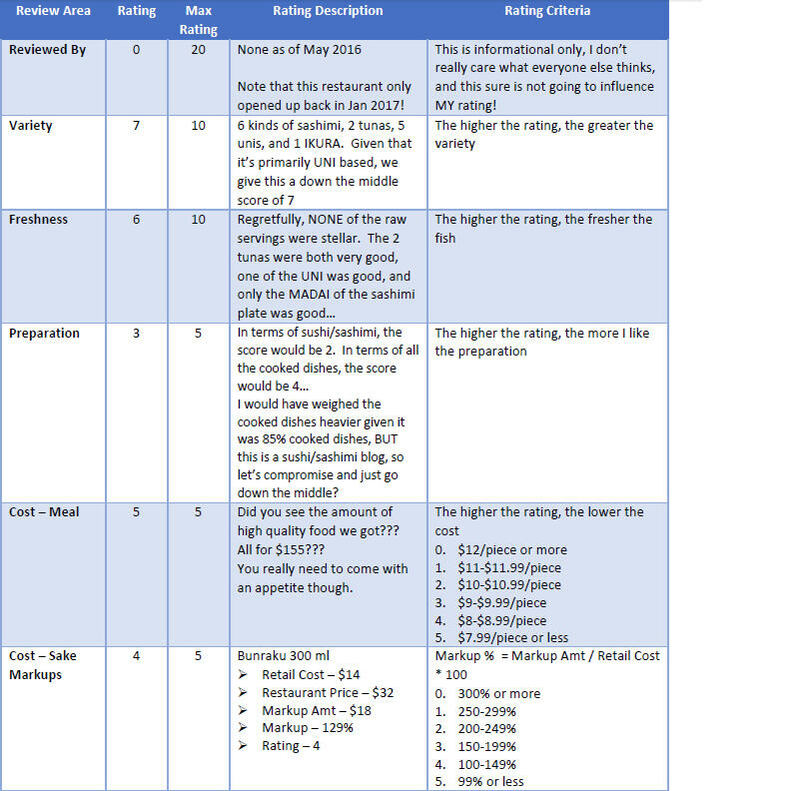 Though opened for only a few short months, folks had decent things to say, and selection seemed to be plentiful. 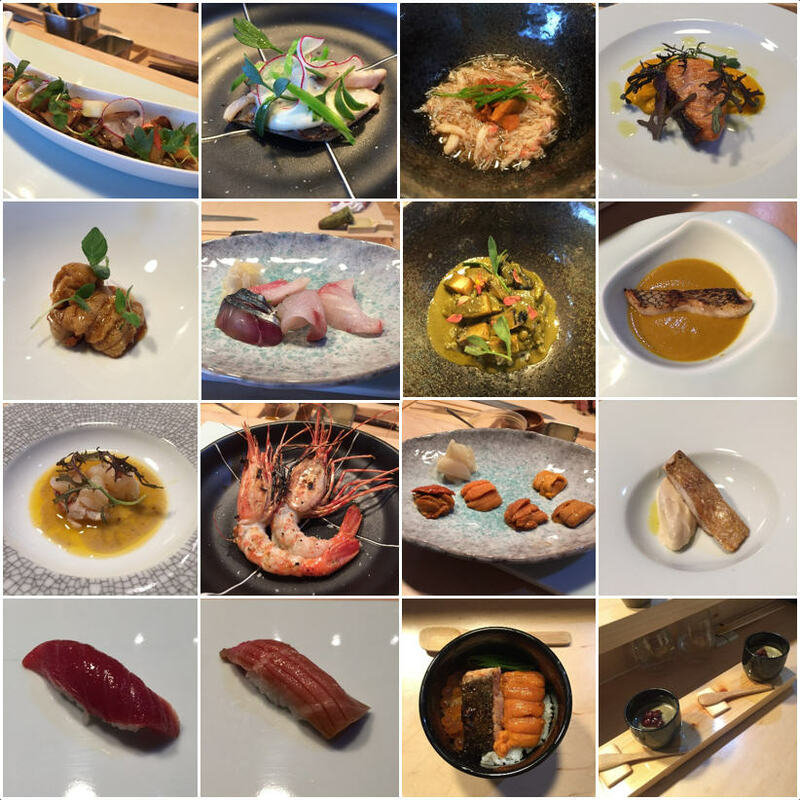 Upon arriving, we discovered that while there is an omakase, it is 85% cooked foods, and just a handful of raw fish servings. 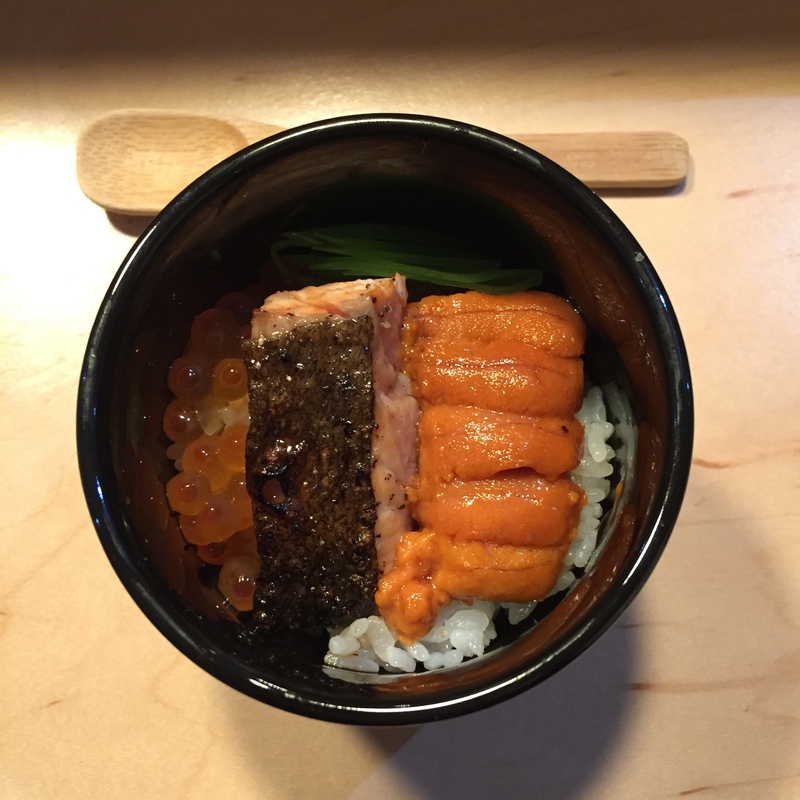 There is NO OPTION for a sushi or sushi/sashimi omakase. Chef Shen shared that sushi requires a lot of time, effort and attention from him. That during those first few months of opening, the backup and delays were so great, that everyone began complaining. For this reason, he had entirely stopped offering sushi on his omakases. 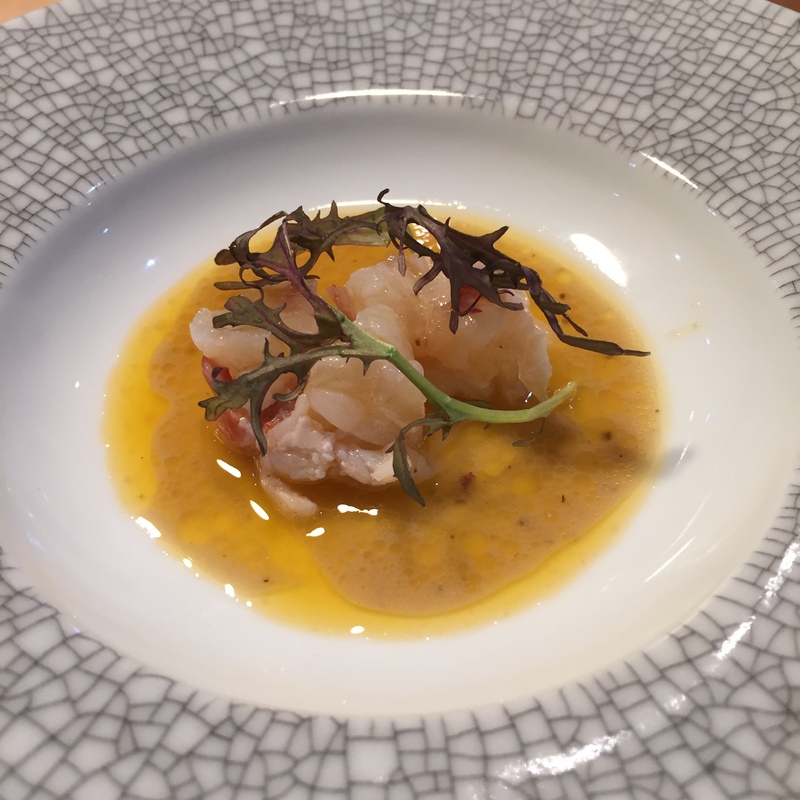 Today his omakase seems to focus on Japanese ingredients with French inspired flavors and methods. Though I always prefer raw over cooked, the cooked servings were all very good. 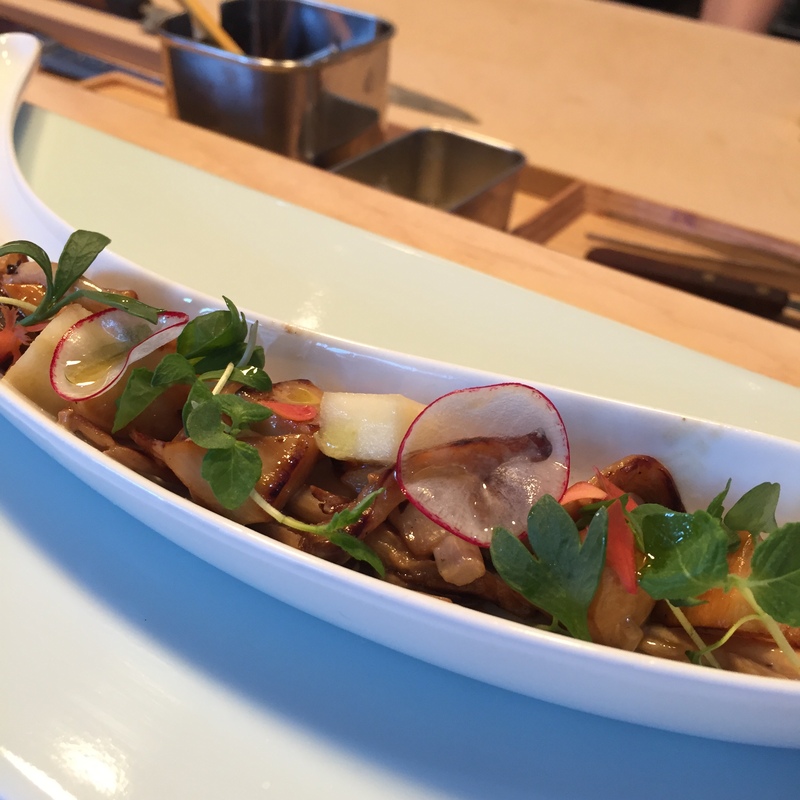 OYSTER, TRUMPET and BUNASHIMEJI mushrooms sautéed with pickled apples – This was very tasty but a little too much oil. 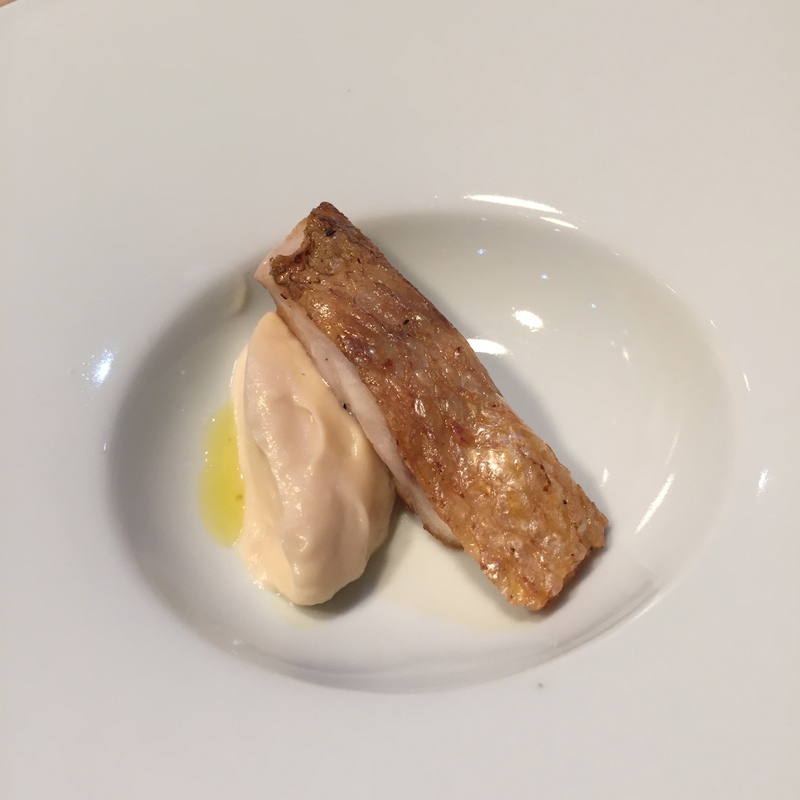 SAWARA served with truffle oil dijon mayonnaise and sea fennel – I was not looking forward to this, but it was surprisingly good! The fennel was a really nice touch. 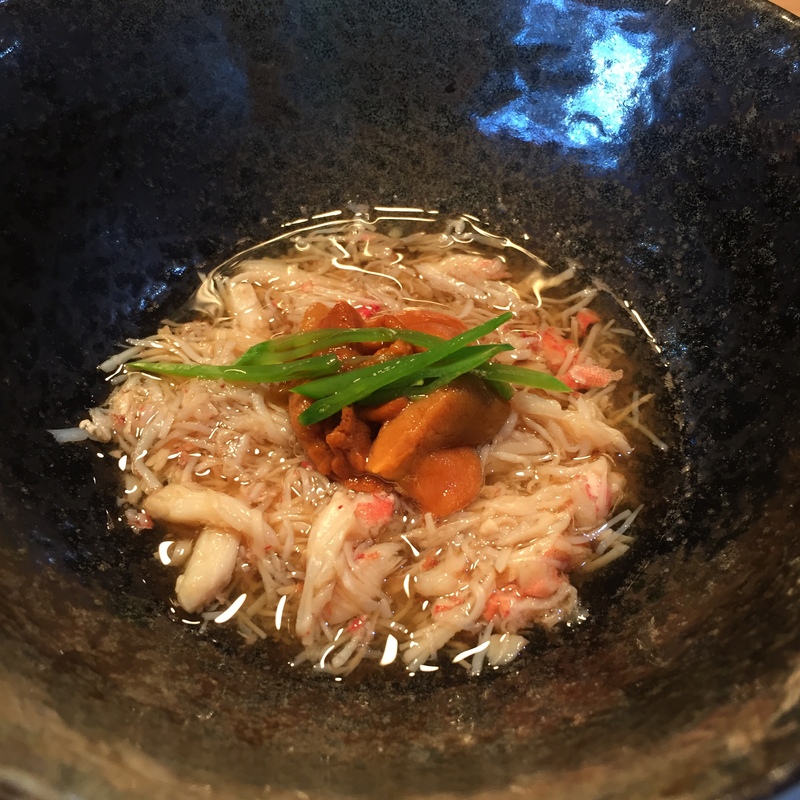 KEGANI (Hairy crab) topped with HOKKAIDO UNI and shredded, blanched, sugar snap peas in a simple Daishi broth. Our favorite dish of the night! 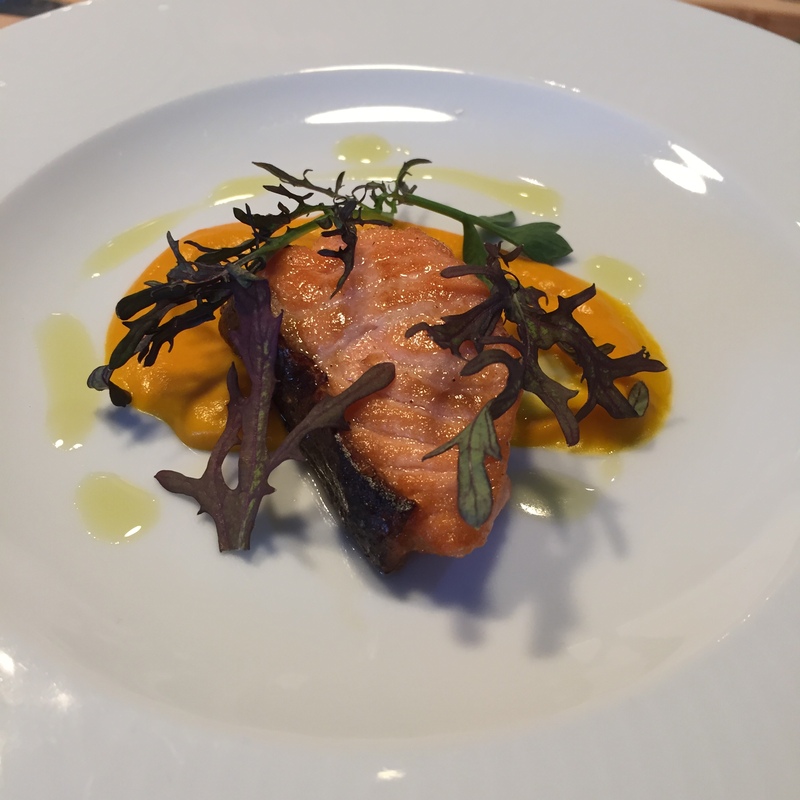 Sea trout with carrot purée – Really like how crispy the skin was. The flavors here blended so well! 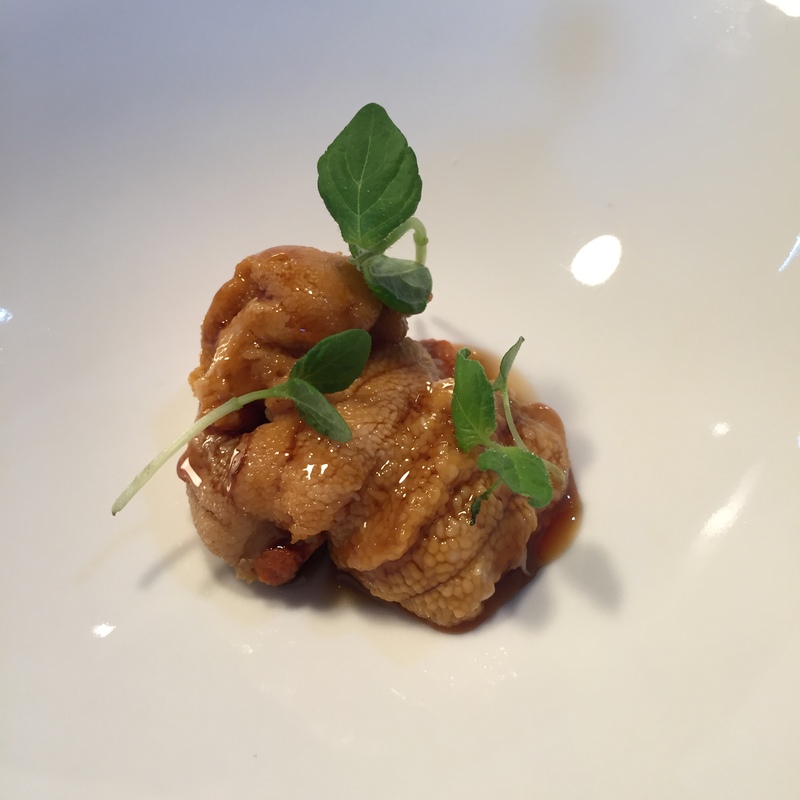 UNI from Maine served with a soy reduction. Have to be honest, the soy reduction was way too sweet, and completely overpowering. 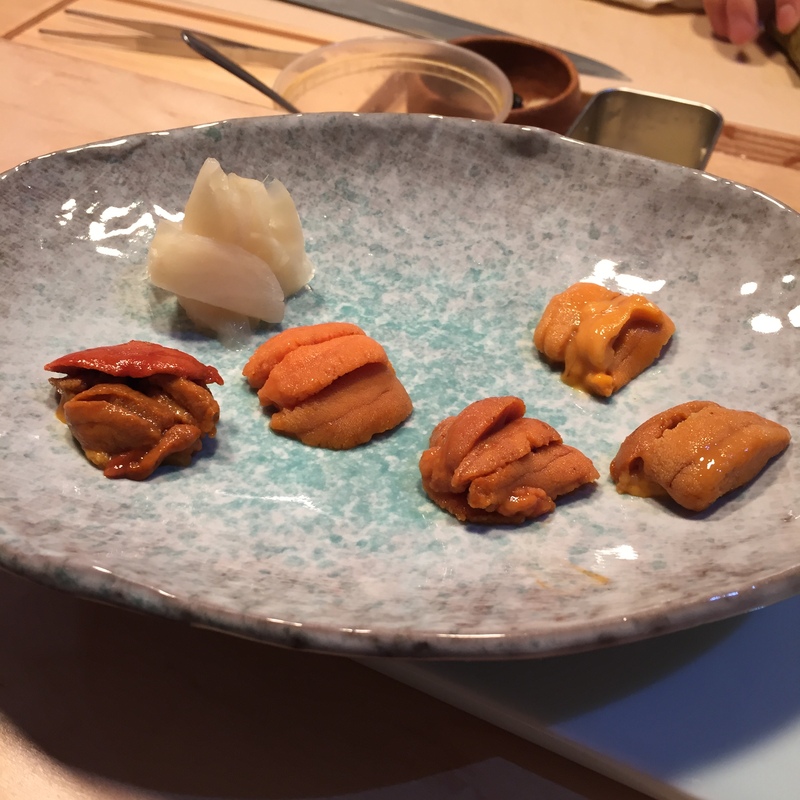 The chef was super convinced that this was the way to bring out the taste of the UNI though, so I didn’t have the heart to say, sorry bubba, I disagree. 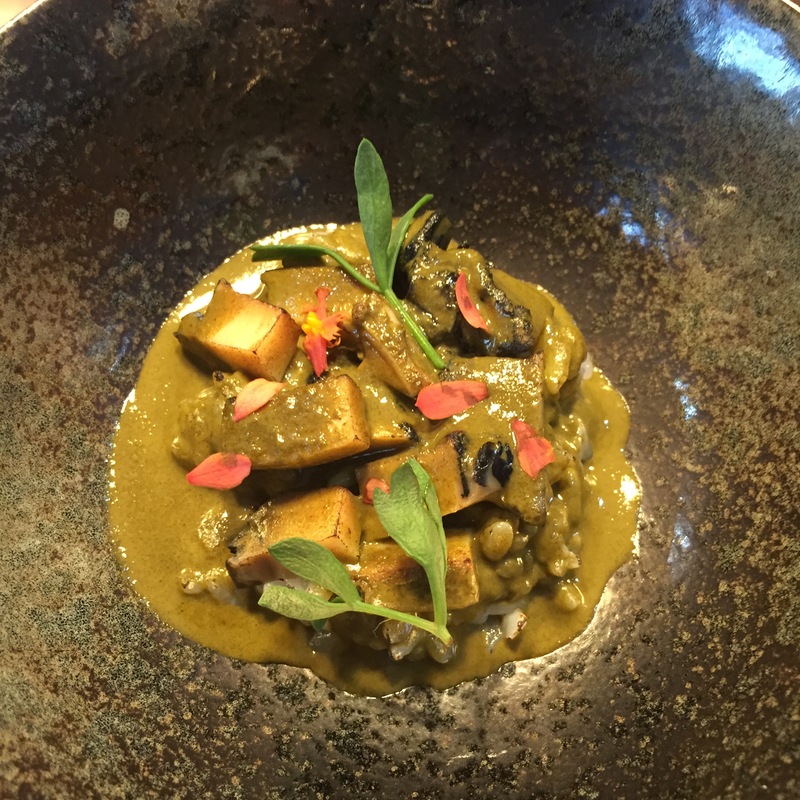 Simmered TOKUBUSHI (Abalone) served with abalone liver sauce, topped with sea fennel and edible orchids. I really, really enjoyed the liver sauce, but this was the one and only dish that needs a serious sprinkle of salt. 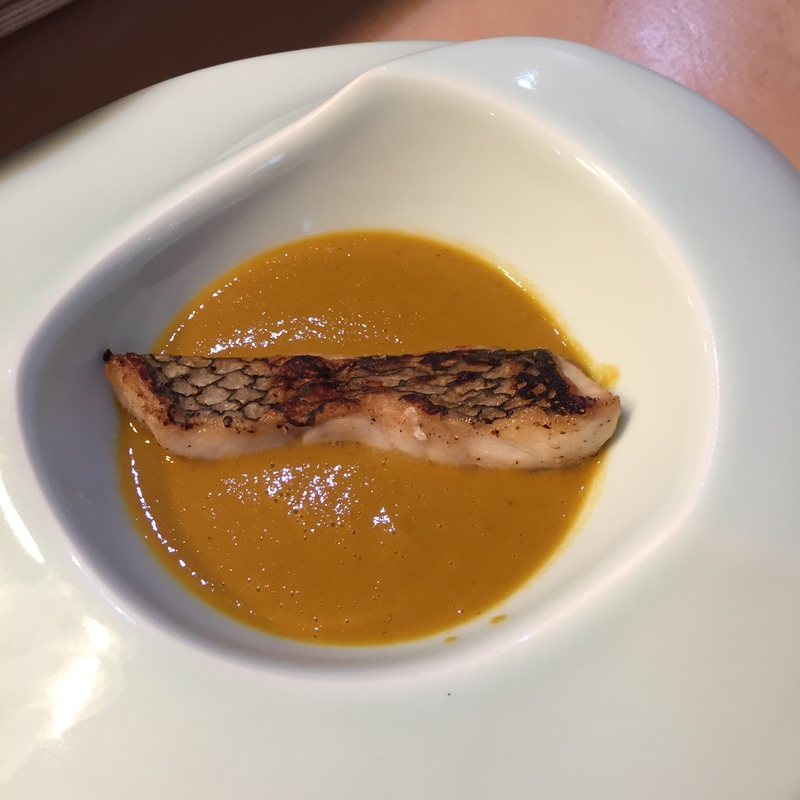 Long Island Black Bass bouillabaisse – So fascinating! This bouillabaisse was made with veggies and mussel/crab base only, no saffron! 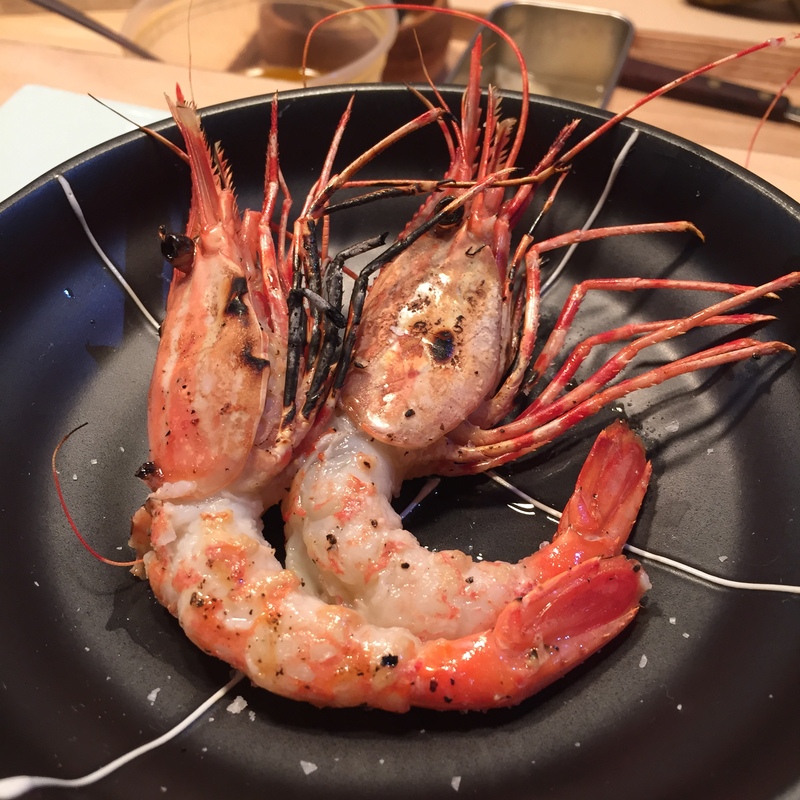 BOTAN EBI char grilled – Very, very good! 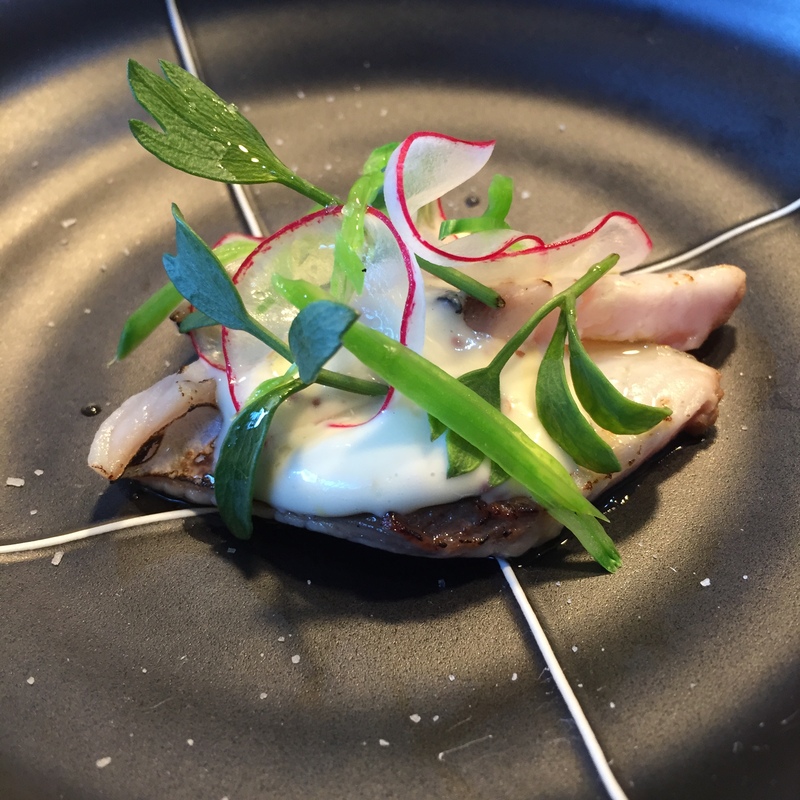 AKAMI ZUKE (marinated lean tuna) from Spain – After chatting, laughing and drinking with us for the last two hours, the chef surprised us with sushi. As shared earlier, the chef is not offering sushi anymore. Per Chef Shen, it requires too much of his time, energy, and attention. It caused backups in the servings, and left many customers very angry. Even the manager was shocked that the chef was “breaking his own rules”. This is where it kills me to opine… We’re having a fantastic time, all the cooked dishes were so enjoyable, but the raw stuff is really lacking. 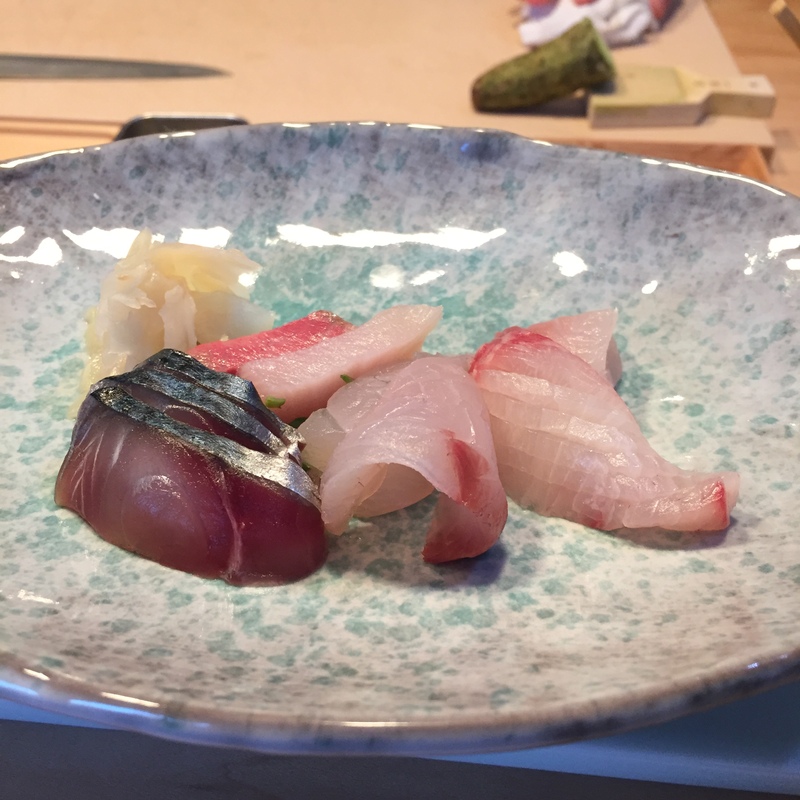 The sashimi platter was not so good, the uni platter as well, and now the sushi… The AKAMI itself was pretty good, but the sushi making… I get why Chef Shen says it takes him a lot of time. 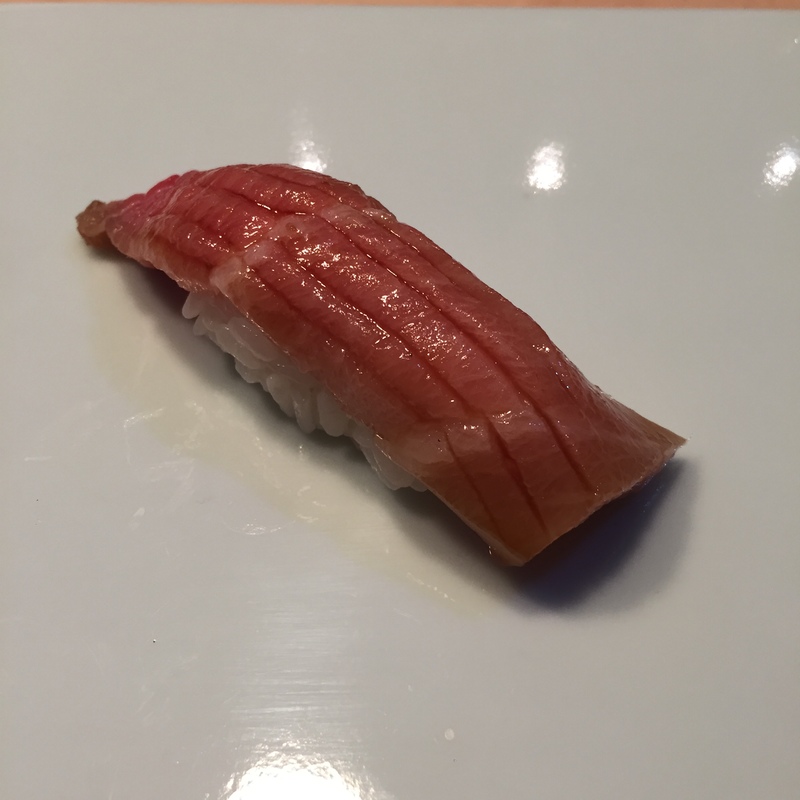 If read sushi making books, watch the interviews, actually pay attention when the chef is making your sushi, you’ll notice one thing, it’s a three press assembly when combining the fish with the rice. Chef Shen was doing like 20. Seriously, it was a lot of back and forth. Sorry chef! 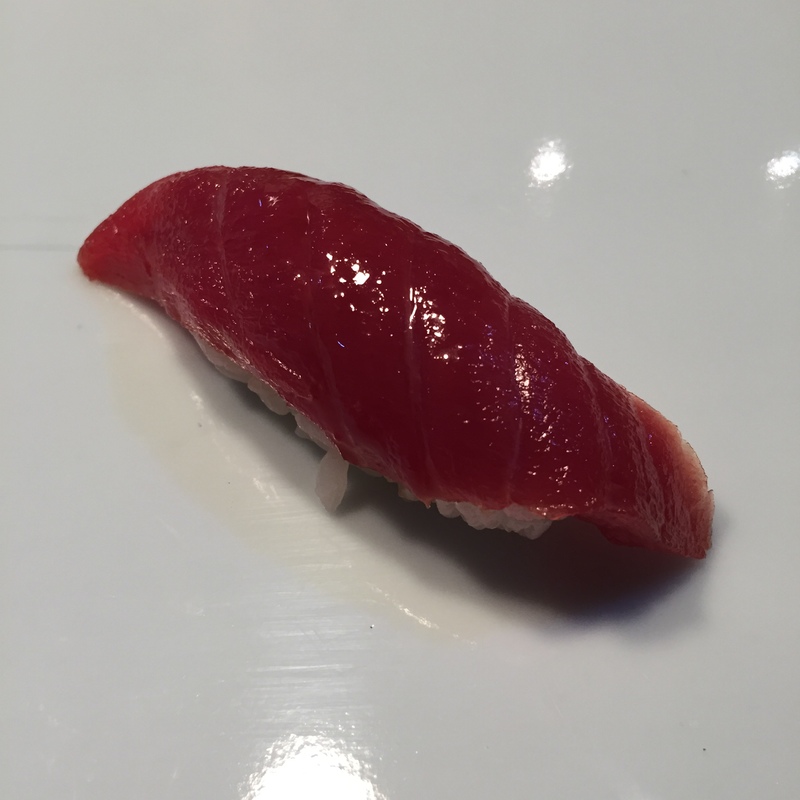 OTORO (super fatty tuna) – Like the AKAMI, this was another good cut of fish. 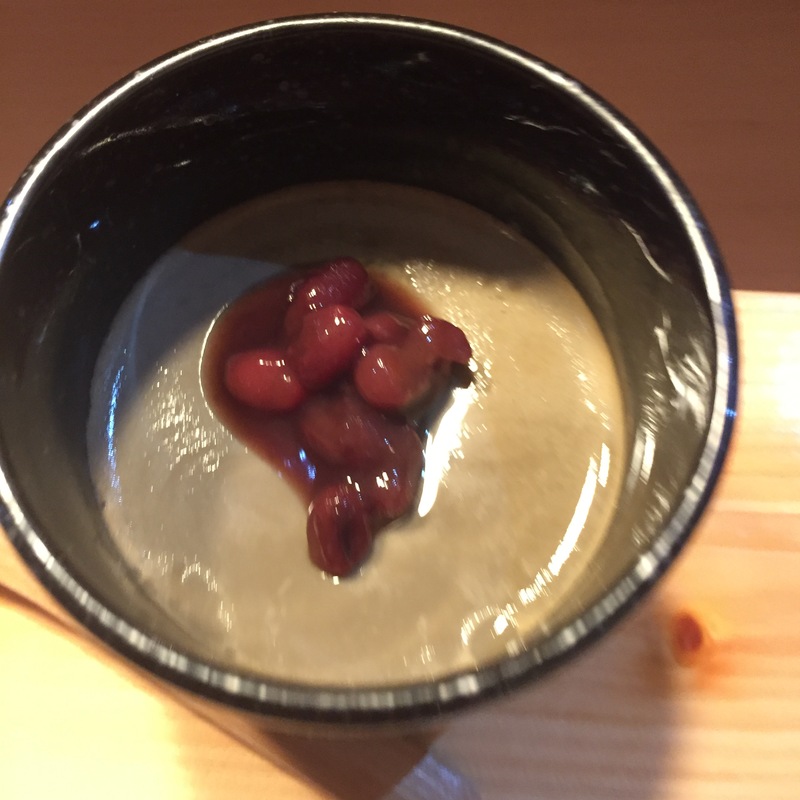 Dessert – HOJCHA Pudding –YUM!! !